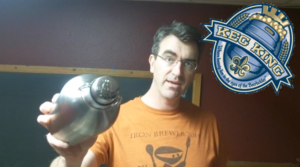 Keg King sent me their Ultimate stainless steel growler to review. I spent some time on a Saturday logging data to see how it holds up. Why a Stainless Steel Growler? Keg King’s Ultimate Growler is a 64-ounce stainless growler for transporting beer from a tap to somewhere you want to drink that beer. Many growlers are made of glass, but this one is made out of 304 stainless steel. Many pools, beaches, and other public locations do not allow glass containers for safety reasons; this is a good alternative package to avoid that problem. Since this is a stainless steel growler, you do not need to be concerned about it breaking inadvertently. The constructions feels solid, and the heft feels nice in my hand. The brushed stainless provides a good grip, even when it is wet. The neck of the growler is a comfortable diameter and allows for easy pouring. 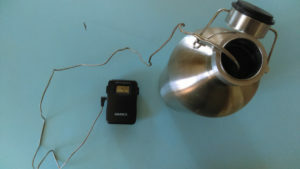 One story of the growler’s origin states that the original tin containers emitted a growling sound because the lid could not form a tight seal. This caused the lid to vibrate, emitting a low growling noise. 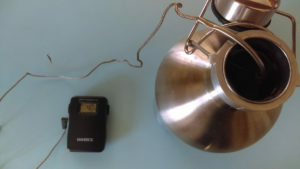 The Ultimate Growler has a tight bale-top lid with a food-grade silicone gasket to form a tight seal that barked loud when the top was flipped open. You won’t need to worry about your beer going flat as long as the lid is closed. To test the vacuum insulation, I filled the growler with iced water. The temperature settled at 40 degrees. The growler rested on the counter in a 60-degree F room. 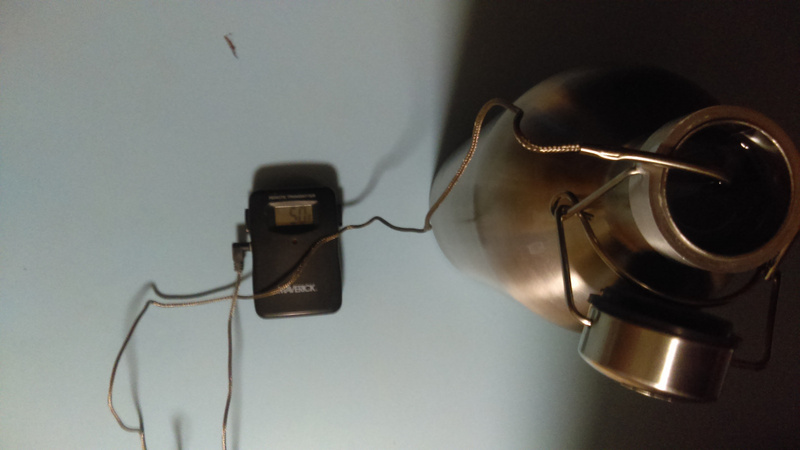 I monitored the temperature every few hours. Temperatures in the growler rose 10 degrees F / 5.6 C over the course of 18 hours. I am happy with this growler, and think it’s a good option to transport your beer without taking a full keg. 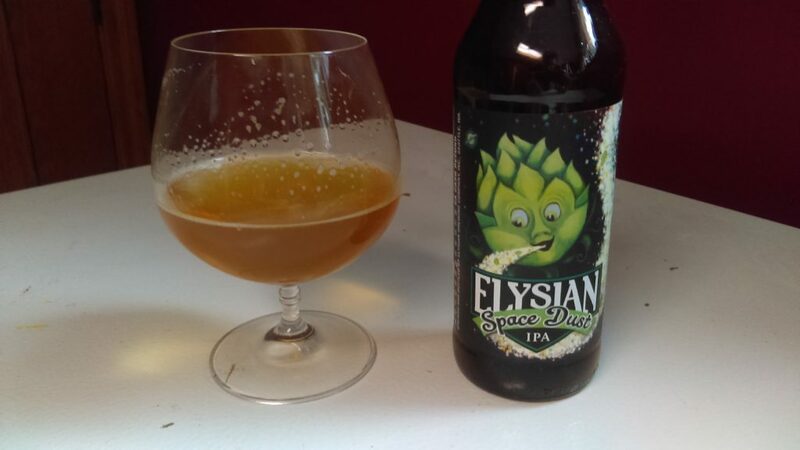 I got some great beers from a cousin in Washington state. Also, looking forward to putting 2016 in the rearview mirror and hoping 2017 makes for a better time. Wanting to make sure I brew more, stress less, and make life better. I posted the process I used to rig my hop pole like a flagpole. Check out that video. Some of the strings I raised in that first video had some problems. In this video I talk about some of them. The pole had lots of irregularities. Since it was a tree I harvested and removed the branches, there were many places for the strings to catch. Cracks in the bark, the stubs of the removed branches, and more provided places for the strings to catch when the wind blew. When I raised the strings and tied them off, I left too much slack in the twine. 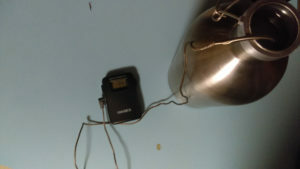 This allows the strings to move around a lot, catching in the irregularities of the pole used as the central pole for raising and lowering the strings. By shortening the strings, the twine no longer catches on the pole, so it can’t be worn down by movement. Let me know if you’ve run into similar challenges, and what you’ve done to overcome the challenges. I’d love to learn along with you. Please post your thoughts in the comments below.